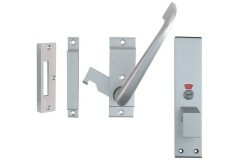 It is important to know what type of lock to fit on a bathroom door. 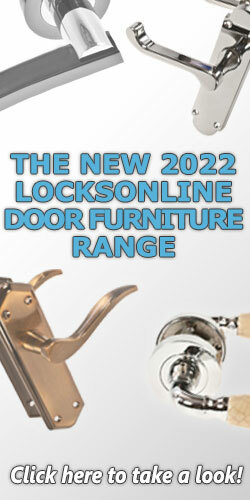 Here you will find all of our bathroom locks, ranging from the common sash-lock type bathroom locks which offer a latch and a deadbolt, which utilise handles for the latch and a turn to lock the door via the deadbolt, through to a small tubular-type bolt that does not require handles, and is purely for locking and unlocking the door. 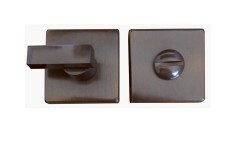 All these bathroom locks share one common similarity - they all require the use of privacy turns, also known as 'turn and release' sets. 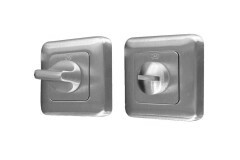 These typically offer a thumbturn on the inside to allow the occupant to lock the door, and usually an emergency override or "emergency release" on the outside, so that in the event of an emergency or suspected hazard, the door is unlockable from the outside by using a screwdriver, butter knife, coin, or any other thin implement inserted into the slotted section of the turn set on the outside of the door. 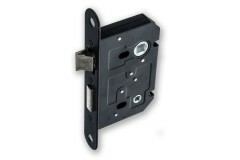 We've included a range of these turn and release sets below, bringing both the lock and the furniture to operate it together in one place. These locks and lock sets are also suitable for use on doors such as toilet doors, wet rooms, ensuite shower rooms and changing rooms. 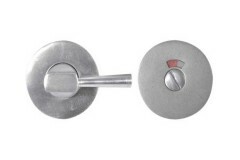 You'll also find a range of indicator bolts, which don't require a lock, but can still secure the door for privacy purposes and these are commonly used on toilet cubicle doors where there's no need for a full lock. 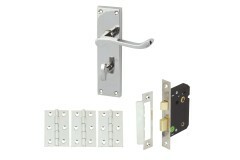 A complete bathroom door kit including aluminium bathroom handles, a set of three door hinges, and a.. 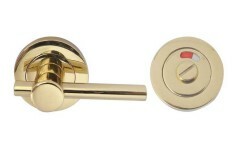 This is the bathroom locking version of the Elegance handle range, with beautiful curves and stunnin.. 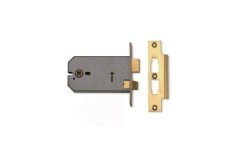 This simple but effective LocksOnline economy bathroom lock comes in a variety of flexible sizes (64.. 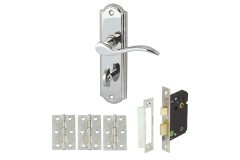 Complete with a bathroom door lock, this complete bathroom handle & lock kit uses the increasing.. 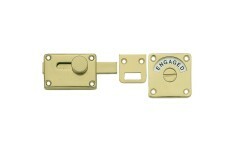 The Union 37651 is suitable for toilet bathroom doors where ease of operation is desired. Suitable f.. 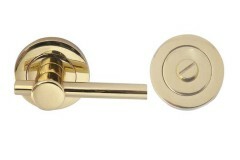 The traditional style Victorian Scroll handles with a built-in thumbturn designed for bathroom doors.. 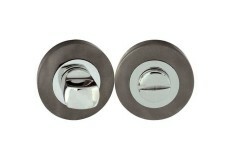 This privacy door knob set is ideal for bedrooms and bathrooms as it offers a convenient thumbturn s.. 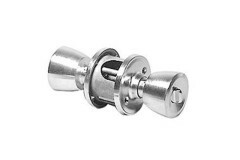 If you need a bathroom lock for a toilet door on a public or business premises, this DIN Standard ba..
For bathroom and bedroom use, the external knob on the ERA Privacy Lock has an emergency release, co.. 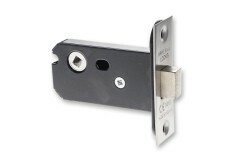 This budget range bathroom door lock is an ideal solution for the bathroom, shower room or wet room .. 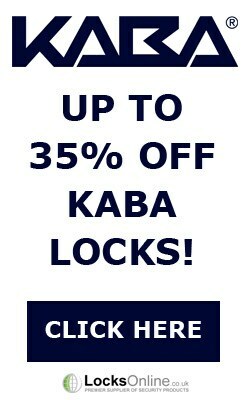 It doesn't get much simpler than this! 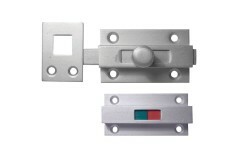 Designed by the renowned lock manufacturer Legge; these.. 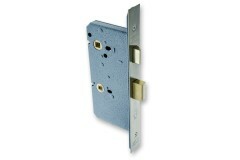 The Easy-Turn Bathroom Door Locking Set or privacy turn & release sets are designed primarily .. 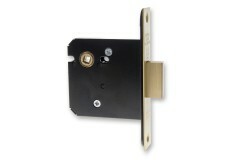 The Easy-Turn Bathroom Door Locking Sets or privacy turn & release sets are designed primarily w.. 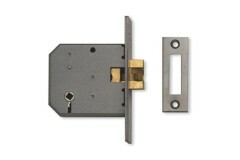 This range of bathroom door lock privacy turn sets comes in a very unique style, utilising square-ed.. 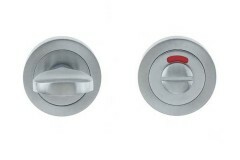 The Minimal Round Flush Fit Bathroom Door Lock privacy turn & release set is a very neat and com.. 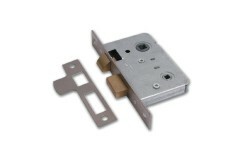 The Minimal bathroom door lock privacy turn & release set lives up to the name! 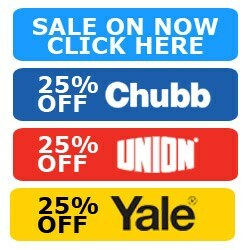 Available in a p.. 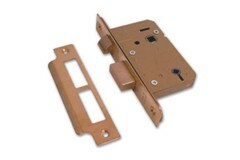 The Parisian Bathroom Door Lock privacy turn & release sets boast a stunning antique bronze fini.. 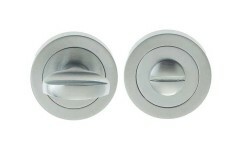 Designed specifically for our "Rombo" range of lever door handles on square rosettes, these stunning..
With a plain exterior plate and longer lever on the internal plate, this Aluminium Bathroom Privacy ..
With an larger lever on the turn element, this Aluminium Turn and Release Bathroom Door Privacy Lock.. 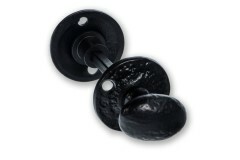 This simple and attractive Turn and Release set has a traditional hammered texture black antique fin.. 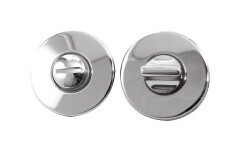 These blank circular bathroom door lock privacy turn sets have a smooth, undecorated face an.. 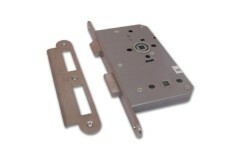 This is the small-block version of the circular framed bathroom door lock privacy turn & release.. 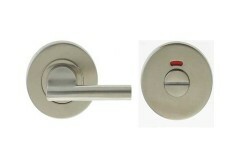 This is the full-size 50mm diameter version of the circular framed bathroom door lock privacy turn .. 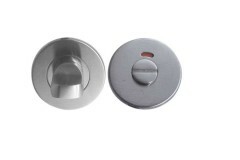 This is the smaller 38mm diameter version of the circular framed bathroom door lock privacy turn &am.. 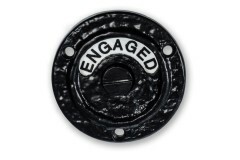 This is the full-size 50mm diameter version with external occupied indicator of the circular framed .. 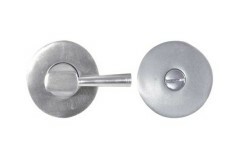 This particular bathroom door lock comes in form of a deadlock. 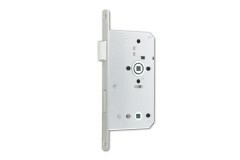 With a detachable faceplate it.. 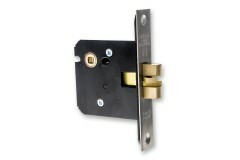 Similar to a mortice sashlock, this bathroom door lock is designed with a latch and a deadbolt, wher.. 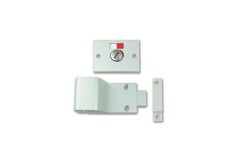 These compact privacy deadbolts are ideal for upgrading from a mortice latch to a functional bathroo.. 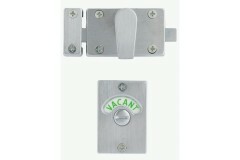 Ideal for use in public and commercial toilet / bathroom situations, these DDA compliant privacy loc.. 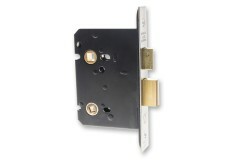 If your bathroom has a sliding door, then this is the type of lock you'll need. It works simil.. 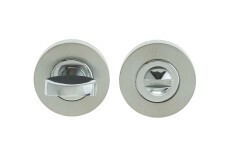 These traditional circular bathroom door lock privacy turn sets have a lovely bevelled design, to th.. 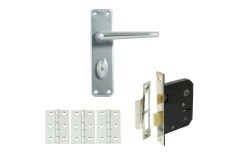 The bevelled square bathroom door lock privacy turn and release sets are designed for use on bathroo.. 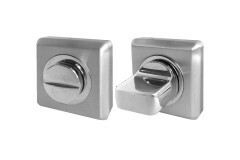 These beautiful square bathroom door lock privacy turn sets have slightly rounded-off edges to the s..
With a longer lever grip on these privacy turn bathroom door locks, this set lives up to the name of.. 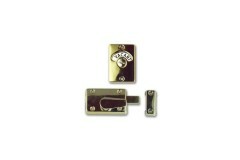 This Bathroom Door Lock Set has smart square styling with the added details of an easy turn snib mak.. 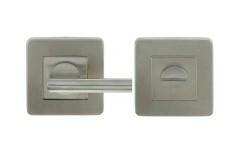 This Bathroom Door Lock Set has the same square line styling as a number of the stainless steel door.. 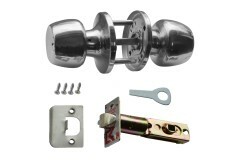 This bathroom door lock privacy turn and release set offers a choice of polished or satin stainless .. Here's one for the avid security fanatic! 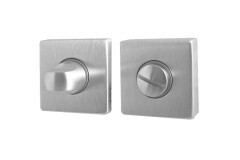 Now you can enjoy the beefed-up security of the orig..
Weiser Beverly Privacy Knobsets ideal for bathroom and bedroom use, the external knob on the Weiser .. 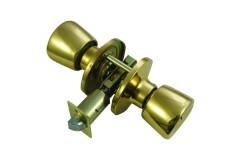 This tubular deadbolt comes in 50mm, 5mm dead bolt 83mm x 62mm backsets. 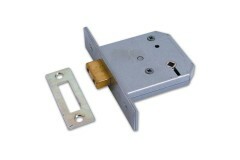 The mortice deadbolt provid..
Asec Bathroom lock is suitable for sprung lever furniture with 8mm spindle. 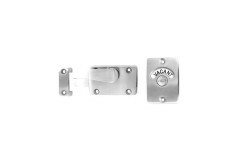 Bathroom locks offer a p..
Legge 2125 is a basic bathroom deadbolt, it cannot be used with a handle but it's designed for use w.. 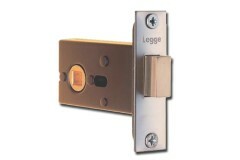 The Legge 3751 bathroom lock comes in a choice of forend finishes and the case is zinc plated steel ..
With a 5-year guarantee from the manufacturer, you can be sure this lock is going to last. The.. 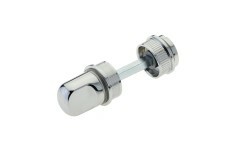 Turn and releases, All you need is to turn the bolt and it'll engage into the strike. No need for a.. 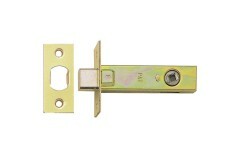 The Union 2226 bathroom lock is for use on timber doors hinged on the left or right, requiring turn ..
Union 8098 Indicator Bolt Suitable for wood doors. 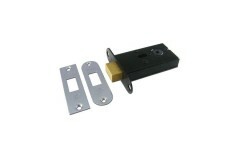 All you need is to turn the bolt and it'll engage..
Union 8094 Indicator Bolt Suitable for wood doors. All you need is to turn the bolt and it'll engage.. 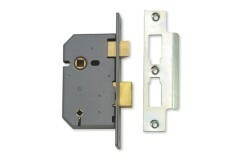 The Union 2126 is supplied without keys and it's ideal install in on a bathroom doorlock and is oper.. 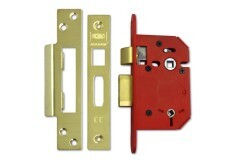 The Union 2026 bathroom lock is in keeping with older houses and original wooden doors where horizon.. 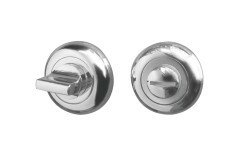 Suitable for timber doors sliding from the left or right, requiring turn and emergency release funct..
Briton 5430 DIN Mortice Bathroom Lock has a single piece rounded forend in grade 316 stainless steel.. 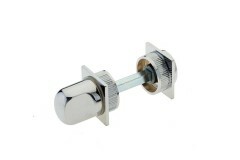 The Jedo indicator bolt is installed on the inside of bathroom doors and has a built in indicator, t.. 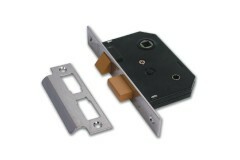 This model has a simple yet effective design that is perfect for both public and commercial building.. 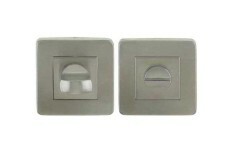 When locked the indicator bolt displays either "Vacant" or "Occupied" giving the outside users indic.. 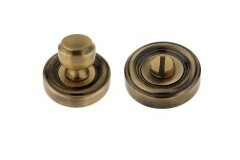 This indicator bolt set is an excellent choice when looking for an 'olde worlde' look that would sui.. 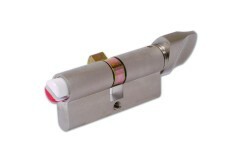 This model of bathroom cylinder indicates occupancy via a two coloured head, red and white. A large ..